Eat Delicious, 125 Recipes for Your Daily Dose of Awesome by Dennis Prescott, is the kind of cookbook you turn to when looking for inspiration, hoping to find an idea of what to cook for supper, or the motivation to visit your local market. It’s such a book for two reasons: the recipes and the photographs of ingredients and finished dishes. Apart from a couple of sushi recipes – raw fish makes some people squeamish – the clear majority of the 125 recipes would appeal to most palates. Prescott’s dishes are the type you’d find in many first-rate bistros: French toast with grilled peaches, slow- roasted pulled pork burgers, lobster mac and cheese, pizza and blueberry-rhubarb galette. A few are quite dujour, like the maple-bacon scones – yes, bacon with everything is still in. Prescott has a popular Instagram account, so it’s no surprise he knows how to snap a smart looking photo. Instagram thrives on pictures of mouth-watering food. In the introductory portion of the book he says he likes to shoot “darker, moodier images that have a raw and rustic aesthetic.” That doesn’t mean they aren’t beautiful. They are. While many dishes are photographed in black, cast iron skillets and earthenware, and on stained, bare wood, I’d call them unpretentious and joyful. One, of roasted carrots with pesto, thanks to composition and lighting, is gallery worthy. 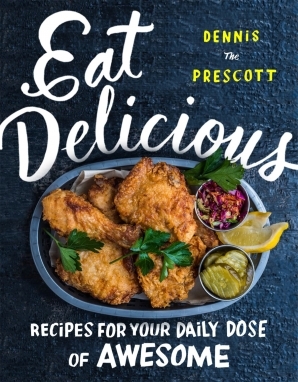 Some readers will be eager to make Prescott’s recipes – I’m sure with success – others may be uncomfortable with the large number and extra cost of ingredients required for many dishes. For example, 25 ingredients for roasted tomato soup with rosemary croutons is, in my view, excessive. 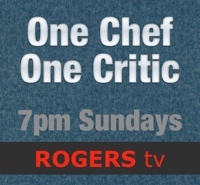 Of course, experienced cooks will be confident enough to eliminate some of Prescott’s ingredients and still end up with very good tasting food. His methods, after all, are sound.